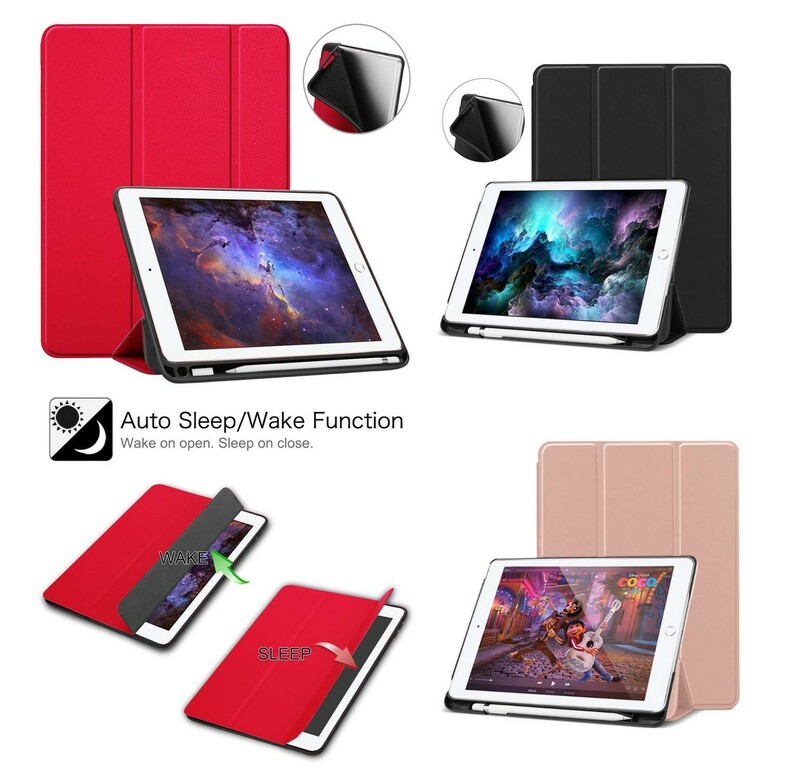 With Magnetic Closure Supports auto sleep/wake function; Full access to all features (Cameras, Speaker, Ports, and Buttons). Built-in for Apple Pencil holder, grab your for Apple Pencil effortlessly whenever you want, easy to carry your pencil with your device. The Pencil isn't included. Made of BPA-free material, premium composition PU exterior and soft microfiber padding interior offer great protection against daily use, good texture for secure grip. Ultra-slim and a lightweight folio case can be easily slid into your briefcase, backpack, or hold in hand. Supports two comfortable viewing angles, transform the case into a viewing stand and a typing stand. Its ergonomic design delivers sophisticated styling balanced with thoughtful functionality Triangle stand offers the ultra-secure way for typing or supporting your iPad. Easy access to all the controls and features; Perfect cutouts for speakers, camera and other ports.